Ebonised beehive keyhole cover in a teardrop design with brass back plate. Has been faithfully reproduced from an original we have reclaimed. This design will complement our ebonised beehive or reeded door knobs perfectly. 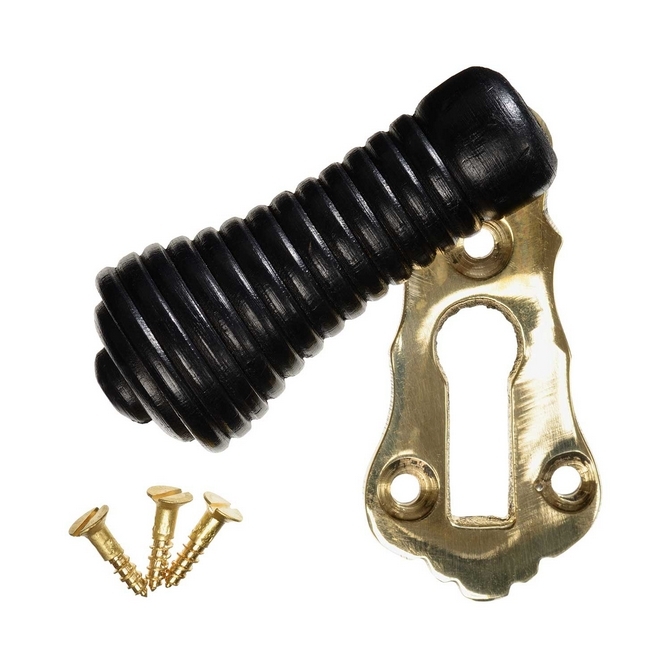 High quality escutcheon with polished brass back plate and fixings.